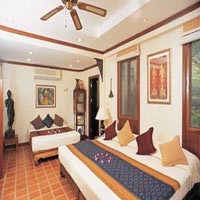 Thinking of staying at one of the Dongtan Beach hotels? After living in the area for more than a few years - I find Dongtan Beach to be the nicest beach in Pattaya. 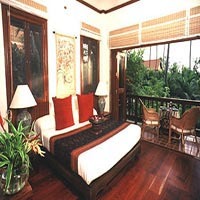 It certainly offers some of the best places to stay! Its beach is often called the "Gay Beach" but families from all around the world come visit. 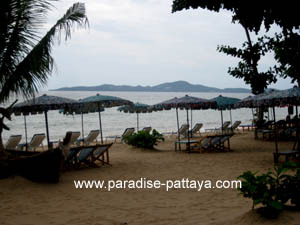 One thing that's strange is that most people living in Pattaya don't know where this beach is! Granted we're lucky in this case because it means we get to enjoy our peace and quiet there more. So let's say you plan to come here - where would you stay? 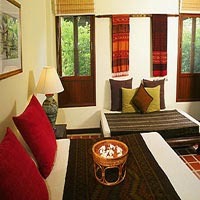 Here are some of the most enjoyable resorts in the area in my opinion. 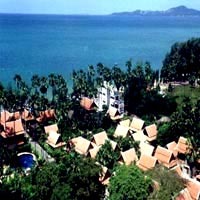 Rabbit Resort is one of the nicest resorts on the Dongtan Beach, Jomtien. 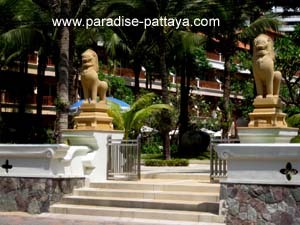 It is located directly on the beach and there is no traffic from 10 a.m- 5 p.m to disturb the peaceful setting. This is quite rare as most places you stay you might expect a lot of noise from the baht buses and taxis that zoom on by. So feel free to wake up a little later than most and enjoying some well-earned peace and quiet. Note: While you're at it - check out my pictures of Dongtan beach! This is another one of the Dongtan Beach hotels. Actually 'Dongtan' is Chinese for 'East Beach'. You can also notice the Chinese influence at the resort. If you're up for it you can also get a massage before going back to your room (or leaving it.) In fact you can get yourself a massage before heading to tan by the water. Ahh...Thailand!